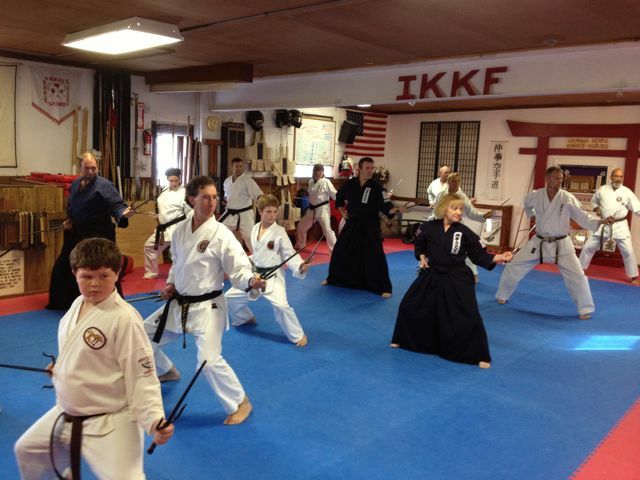 The INTERNATIONAL KARATE KOBUDO FEDERATION held its 2012 IKKF FALL KOBUDO CAMP on Saturday, October 20, 2012. 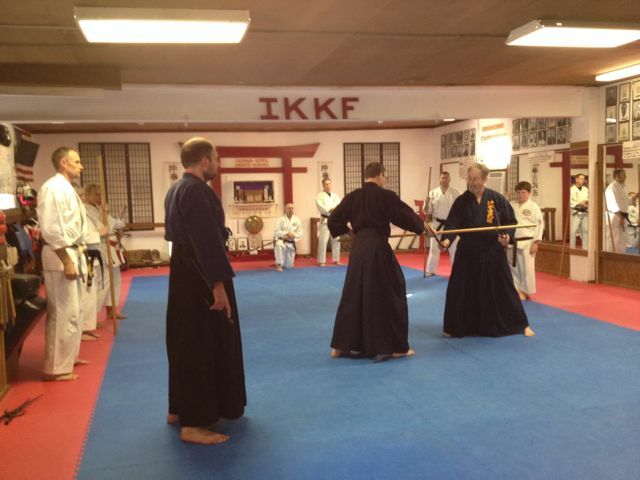 The training was held in Reading, Pennsylvania at the IKKF Honbu (HKA Dojo). 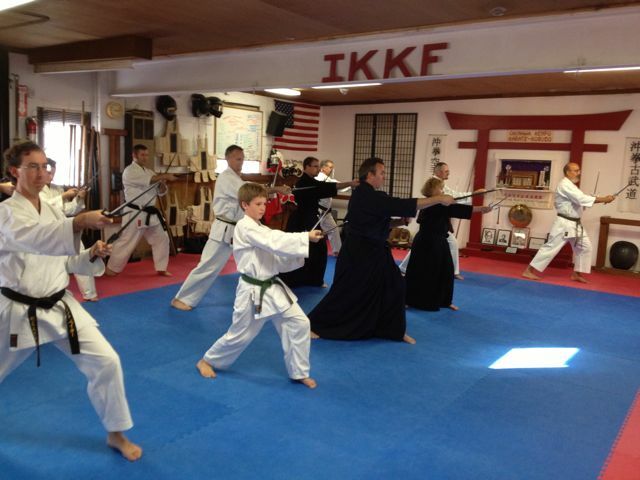 The focus of the 2012 IKKF FALL KOBUDO CAMP was to provide intense training in Okinawa Kenpo Kobudo. This years event focused on the Tunfa, Tekkos and Sai. 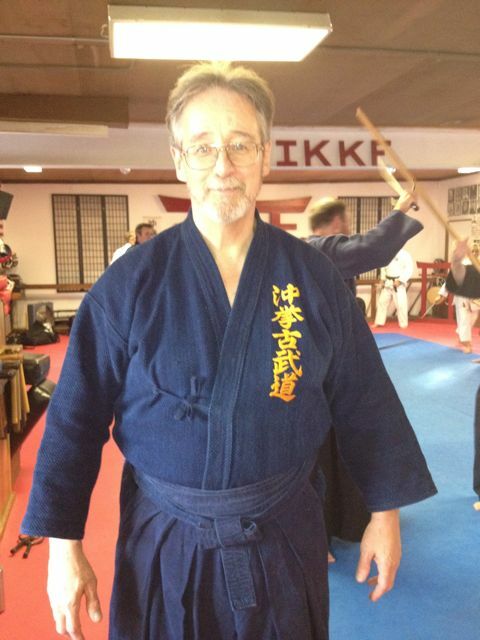 Hanshi Heilman focused primarily on applications for the weapons against a bo. For the Tunfa and Sai the participants reviewed the use of the weapon from closed blade, open blade and reverse blade starting positions. Blocks, strikes and joint locks, etc were presented and practiced. Some photos of the training are presented below. 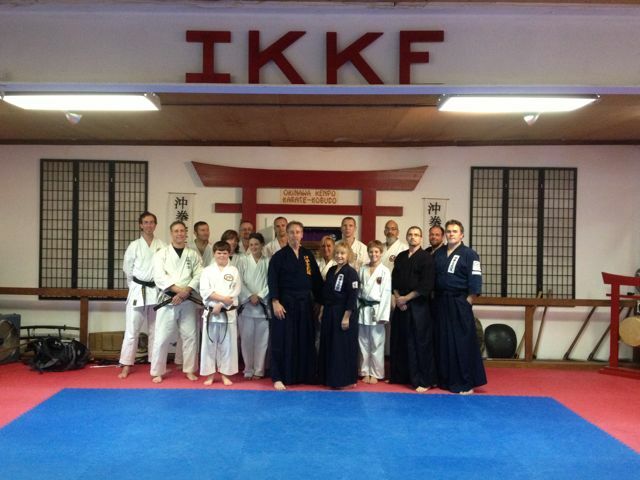 A group photo of some of the participants on Saturday at the 2012 IKKF Fall Kobudo Camp. Kyoshi Heilman leading group through Odo No Sai Ichi. 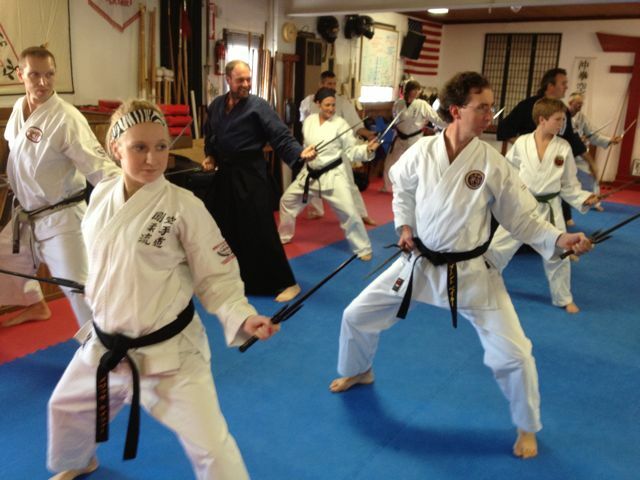 Instructors included: Kyoshi Heilman leading group through Kyan No Sai. Close up of participants during Sai training. 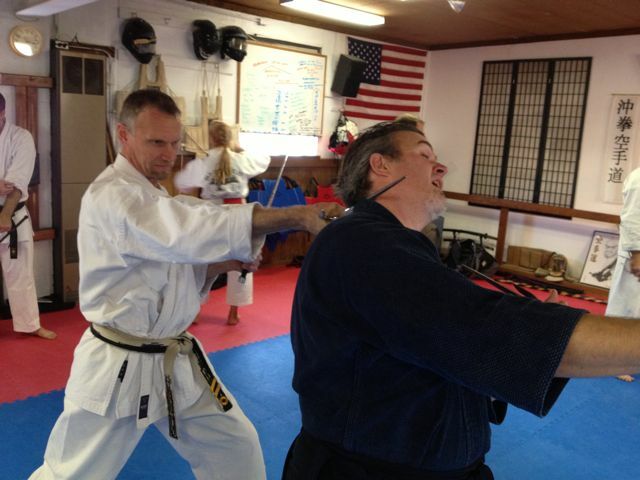 Hanshi Heilman demonstrating applications with Sai against Bo. Hanshi Heilman at Fall Camp. Kyoshi Hoover getting the attention of Kyoshi Baer during break in training.